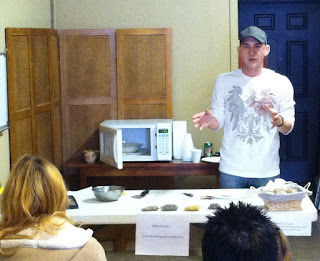 The "Glycerin Soap Making" presentation by Dennis Kelly, founder of Dream Big Soaps, was a hit. Attendees learned how to make soap in their own home, received aromatic soap samples, enjoyed a lively discussion, and had the opportunity to purchase a variety of Dream Big Soaps and herbs (for future soap making) from Terra Mater Botanicals' Herb Shop located inside the Owl Creek Gazette office at 208 South Second Street in Greenville, IL. The "Glycerin Soap Making" Presentation was part of the Owl Creek Gazette Second Saturday Series. Dennis Kelly, founder of Dream Big Soaps, explains the how-to's of glycerin soap making to a room full of interested folks, soon to try their own hand at soap making. 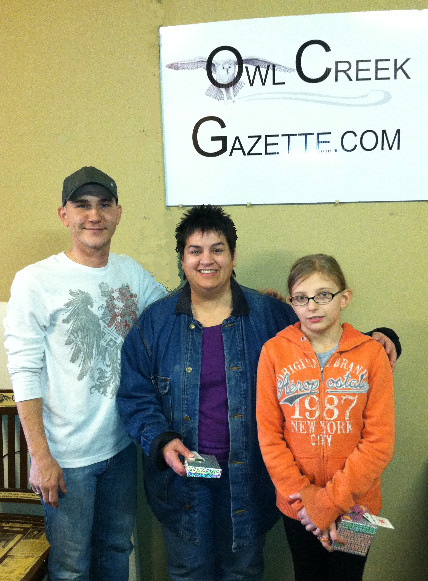 Dennis Kelly poses for a photo with lucky winners of Dream Big Soap samples, Kathy Schultz and Sophia Zidek, during the Glycerin Soap Making presentation. 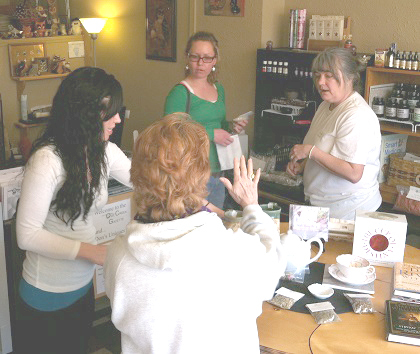 Attendees talk with Roxanne Bare of Terra Mater Botanicals Herb Shop about a variety of herbs used for specific purposes in soap making and skin care. 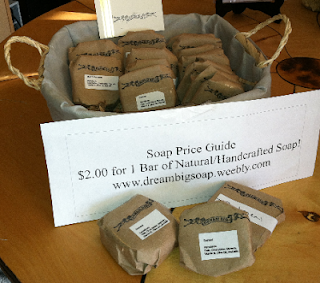 Dream Big Soaps are now available for purchase at the Owl Creek Gazette.